THE Letran Knights are pinning their hopes on the return of their leader and a new coach as they eye a comeback in the Final Four of the 91st NCAA basketball tournament unfolding on Saturday at the MOA Arena in San Juan City. 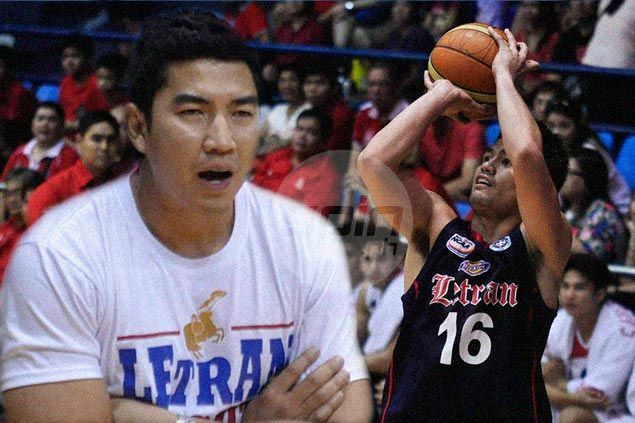 A year after getting eliminated from the Final Four, Letran hopes to bounce right back by bringing in little-known Aldin Ayo to replace Caloy Garcia as head coach. Ayo played for the champions Knights squad headed by Kerby Raymundo and Chris Calaguio in the 90s and recently was tapped as an assistant coach for PBA expansion team Kia. "My goal is just to help the team make it to the Final Four before thinking of anything else," said Ayo, under pressure to deliver after fine performances by coaches Louie Alas, Binky Favis and Garcia. Alas won three titles in his long stint with Letran, Favis won one crown in 1999 while Garcia steered the school to a finals stint before losing to reigning five-peat champion San Beda two seasons ago. The Knights also get a big boost with the return of co-captain Kevin Racal, who tore an ACL late last year that hastened the downfall of the Knights. "I'm ready, good to go," said Racal. Racal will re-join co-skipper Mark Cruz and Rey Nambatac in forming one of the league's best backcourt combinations. "We have a new system anchored on them," said Ayo.